I’ve got to say, I’m partial to travel-focused apps. As an avid wanderer, anything that will make my global adventures easier and more interesting is all right with me. That’s why I love the concept of TourSphere (make-your-own tour guide app) and AirBnB. 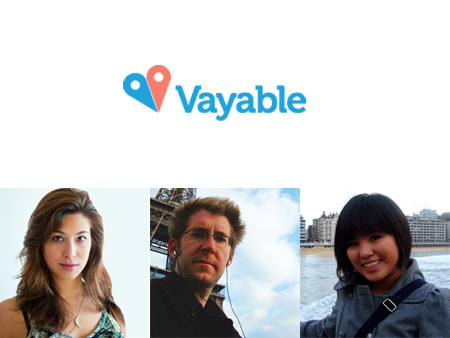 Vayable is another such travel app that is creeping into my heart. We covered it last year after its launch, and now it’s offering a worldwide payments and concierge service to its adventure-seeking marketplace. But it’s the stories of the people behind the app that make it so awesome and so Vayable (ok, I’ll stop with the puns). 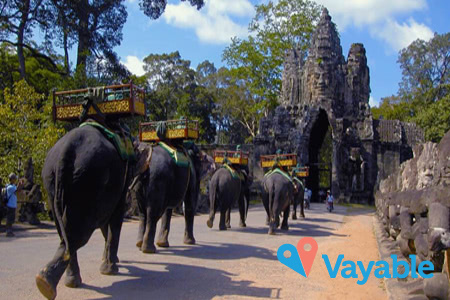 Vayable is making sure you’re not trapped, as in you’re a tourist and you’re at Disney World trapped. It’s the app that’s connecting you to local tour guides around the world to give you a unique, insider travel experience and making you a very happy (and in-the- know) globe-trotter. This is what I’m talking about, baby. CEO and co-founder, Jamie Wong found the inspiration for Vayable on camelback, in the Sahara desert. I have a similar Moroccan story that didn’t exactly turn into a business idea…I’ll explain later. Jamie was 20, in Morocco and wanted to get out to the Sahara desert. After asking a carpet shopkeeper how she could go about doing this, she found herself being driven 15 hours to a caravan tribe whose chief was the shopkeeper’s cousin. She spent the next five nights traveling on camelback, living off bread, and learning from the tribe. Her modest payment at the end of her adventure was a month’s living for the tribe. She left feeling inspired to help others experience such unique adventures and also to leave a positive impact on the world. She moved from New York City back to her hometown of San Francisco. And Vayable was born. Russell is a Vayable guide offering tours around the Bay area focused on community street art. Through his tours, he hopes to re-direct tourist dollars to give back to the art community and foster awareness about the arts. Sheila is also a San Fran Vayable guide whose passion for food and travel led her to become a chef in southern Italy. When she returned to the states she continued to share her foodie passion with others by becoming a Vayable guide and leading a pretty magical (from what I gather from the reviews) culinary experience. 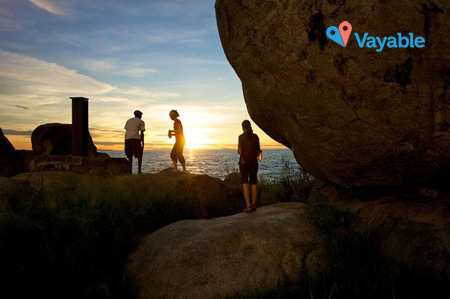 Whether you’re a local guide or curious wanderer, definitely check out the unique tours of Vayable. Oh right, and my Moroccon experience. So, I was in the midst of a 2-month backpacking adventure with my good friend Devyn. We were 19 at the time and found ourselves packed in a small car with six passengers on the desert road between Essaouira and Marrakesh. During our 10-hour journey we picked up a man who was on the brink of dehydration/death, and also stopped to feed skinny prairie dogs some naan bread. I remember turning to Devyn and saying, “This is quite possibly the most random moment of my entire life.” We also agreed that our driver was some sort of Moroccan guardian angel. This, my friends, is the (cumin) spice of life.